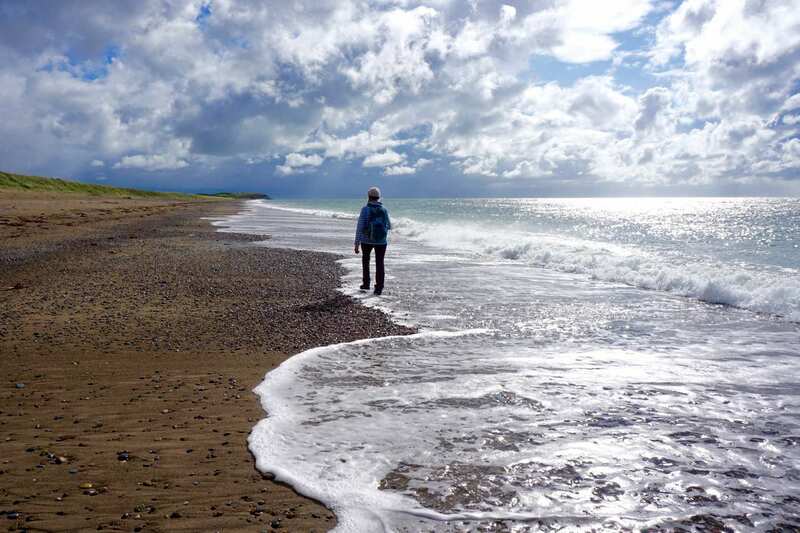 Experience the northern Llŷn Coastal Path at your own pace on a self-guided walking holiday. Accommodation, luggage transfer and custom holiday pack included. A walking holiday around the Llyn Peninsula along the Wales Coast Path, from Bangor to Aberdaron. 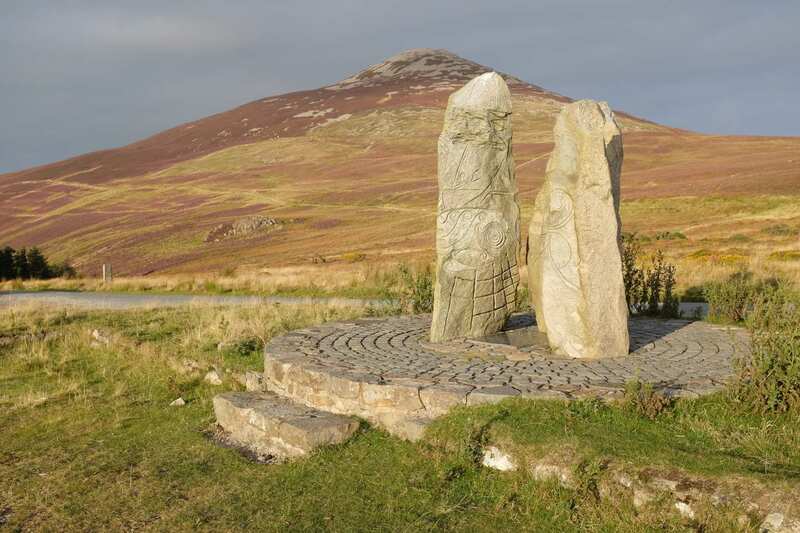 Follow an engaging mixture of high and low paths with views over the ocean and the mountains of Snowdonia, on a walk along the North Section of the Llyn Coast Path. 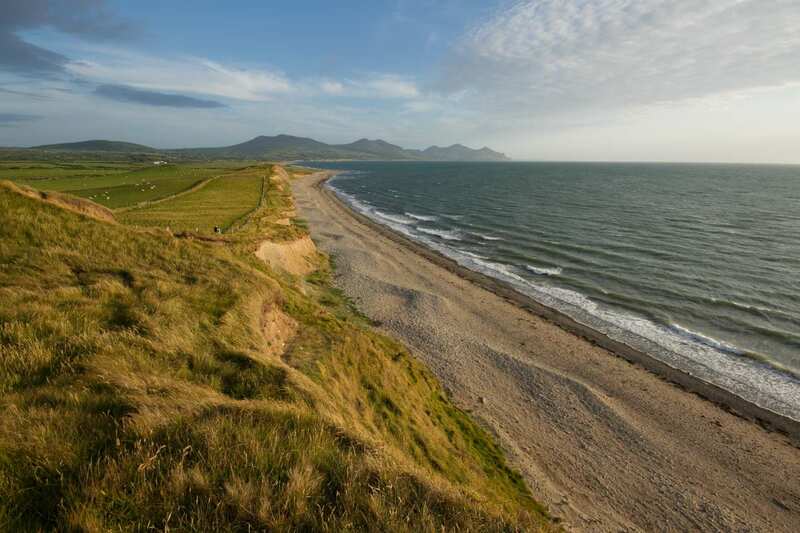 The walk begins on the flat shore of the Menai Strait, presided over by the Iron Age hill fort of Dinas Dinlle, and hits its hilliest section beyond Clynnog Fawr. It turns wild past Porth Colmon, traversing the Whistling Sands of Porthor and touring the ‘Land’s End of Wales’ at Braich y Pwll headland. This half of the Llyn Coast Path may take more climbing to complete than the South Section, but that makes it all the more scenic. Ascending to Bwlch yr Eifl and Yr Eifl, two of the highest points on the Wales Coast Path. Climbing to the ruins of Dina Dinlle, an Iron Age hill fort with views out over the sea. Walking across the Whistling Sands of Porthor, which hiss and squeak underfoot. Consider booking an extra night in Caernarfon if you wish to explore the town and its formidable late 13th century castle that was built to pacify the Welsh. 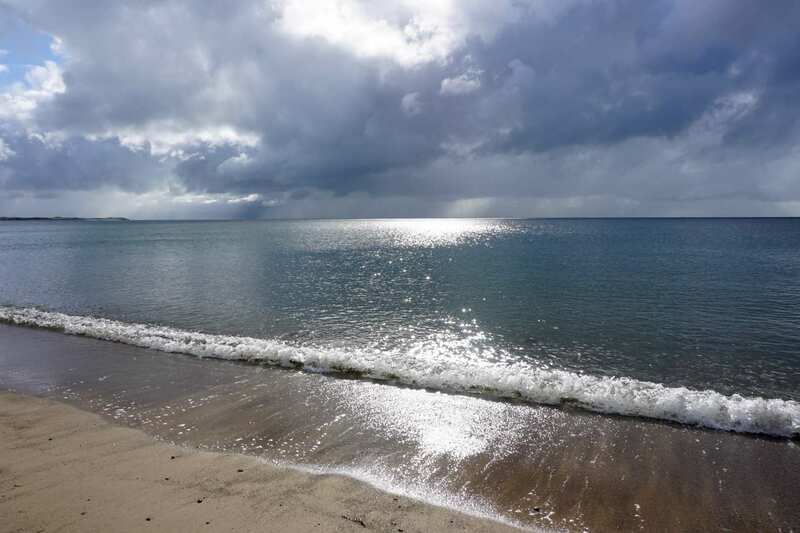 Nefyn is a good choice if you want to enjoy some of the wonderful beaches that this delightful corner of Wales is famous for. If you want to visit the 'Isle of 20,000 Saints', book an extra night in the lovely little village of Aberdaron. By Air - The most convenient major city and international airports are Liverpool John Lennon and Manchester and Leeds. By Train - There is a rail station at the start of the trail (Bangor). The nearest rail station to the end of the trail (Aberdaron) is at Pwllheli (about 16.5 miles away). By Bus - Various bus services run to Bangor and from Aberdaron. From London - Trains run from London Euston station to Bangor. Return To The Start - The easiest way to return to the start of the trail, is to take the bus from Aberdaron to Bangor.